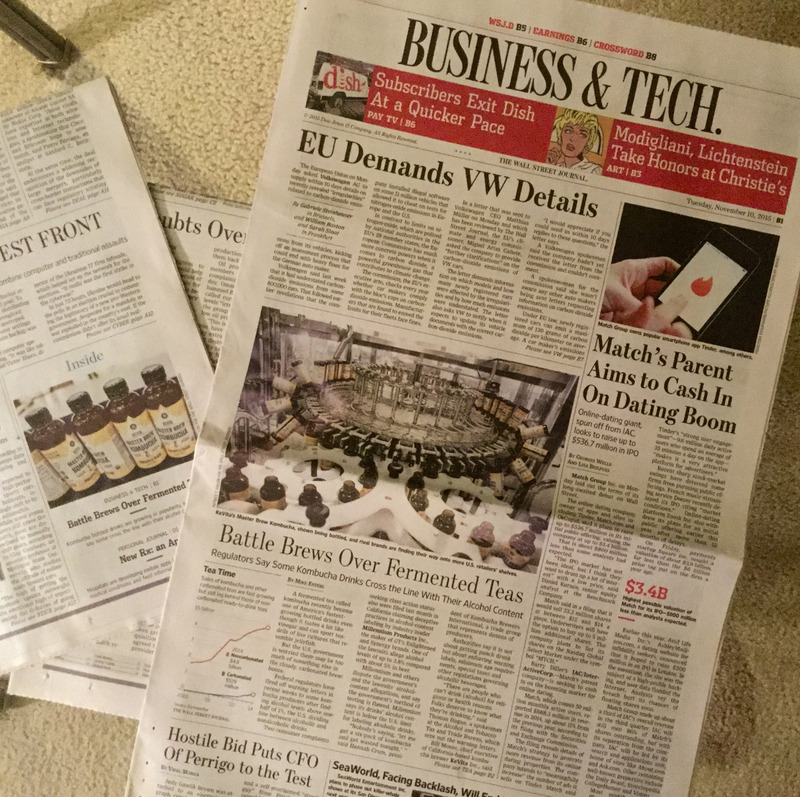 The article mentions a few recent lawsuits on these topics. So far there are five class action lawsuits. Two of them allege that GT Dave’s Enlightened Kombucha has hundreds of percent more than the legal limit of alcohol, for a product marketed as non-alcoholic. One of them alleges similar for the Health-Ade brand. The biggest case is Retta v. Millennium Products, Inc. I say biggest because it is a nationwide class action suit, and it is much farther along in litigation, compared to the other cases. It was first filed in March of 2015 but it was only amended to include the alcohol claims as of October 8, 2015. Before that, the claims were based on allegedly exaggerated anti-oxidant claims. This case is filed in federal court in Los Angeles. The first three pages of the 85-page complaint are here. Two other class action lawsuits allege that the same brands grossly understate the amount of sugar. 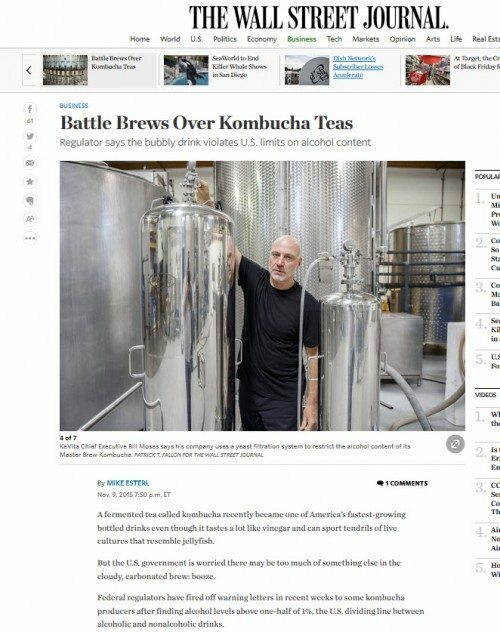 Kombucha raises some great legal issues. Lately I have been saying that kombucha has a lot to do, to catch up with the law, and the law has a lot to do, to catch up with kombucha. For lots more information on this topic, see this post from just a few hours ago, covering a kombucha law webinar of last week. And for lots and lots more information on this topic, see AHPA‘s six or so recent hours of webinars on kombucha law. It was a great pleasure to be part of this webinar series. Federal regulators have fired off warning letters in recent weeks to some kombucha producers after finding alcohol levels above one-half of 1%, the U.S. dividing line between alcoholic and nonalcoholic drinks. Two consumer complaints seeking class action status also were filed last month in California claiming deceptive practices in alcohol-content labeling by industry leader Millennium Products Inc., the maker of GT’s Enlightened and Synergy brands. One of the lawsuits allege alcohol levels of up to 3.8% compared with about 5% in beer. Millennium and others dispute the government’s and the lawsuits’ alcohol-content allegations, and say the government’s method of testing is flawed. Millennium says its drinks’ alcohol content is below the U.S. limit for labeling alcoholic drinks. Millennium Products, Inc. has passed off millions of bottles of its wildly successful kombucha beverages as non-alcoholic, when, in fact, the beverages contain two to seven times the legal limit for non-alcoholic beverages. 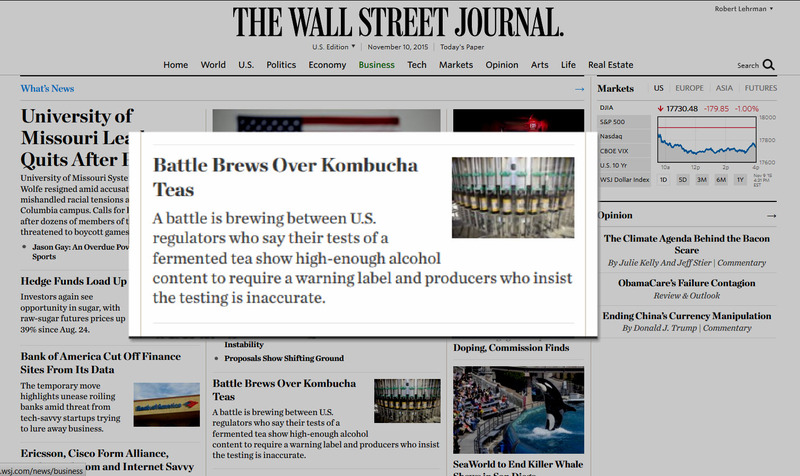 Having been caught selling alcoholic kombucha beverages to unsuspecting customers in 2006 and 2010, Millennium decided to market and distribute an alcoholic version of its kombucha products (the “Classic” kombucha line) and a “non-alcoholic” version (the “Enlightened” line), knowing that the non-alcoholic line has a much greater market appeal and could be sold in far more retail locations. But the purported distinction between the “Classic” and “Enlightened” lines is a sham designed to confuse the public and government regulators, as both lines of products contain alcohol levels far surpassing the legal limit for non-alcoholic beverages. Just like Ben Carson who finds himself newly in the spotlight for good (polls) and bad (almost stabbing a person with other than a scalpel), kombucha has so arrived. It faces the glare of TTB, the courts, the plaintiffs bar, AHPA, the press and Rep. Polis. That Carson remark was random.